Just like selecting the right size, style, and additional features for your custom pole barns in Ohio is important, so is selecting the right flooring. Because pole barns can be used a variety of different things, choosing the appropriate flooring is a critical step in completing your new building. Custom post frame builders in Ohio understand that not everyone is familiar with the different flooring options available for pole barns. 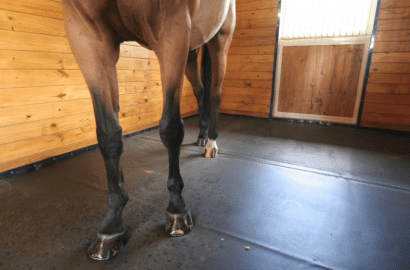 We want you to feel confident when choosing your floor, so the following are some of the most common types of flooring for custom pole barns in Ohio. When choosing what to floor your pole barn in Ohio with, first ask yourself what you will be using your building for the most. Obviously, if you are using your pole barn as an office or storage space, you will want to go with wood or concrete. If you are building agricultural buildings in Ohio, a combination of both rubber mats and sand may be a good idea. As trusted custom post frame builders in Ohio, MQS Structures is ready to help you design and construct your building. We can then offer our expertise and professional opinion on what flooring would be best for your pole barn. We specialize in horse barns, garage and hobby shops, agricultural, and farm buildings in Ohio. Contact us at 855-677-3334 today. This entry was posted	on Monday, April 1st, 2019 at 7:48 pm	and is filed under Uncategorized. You can follow any responses to this entry through the RSS 2.0 feed. Both comments and pings are currently closed.